Website database is like a file storage cabinet. Any high-volume websites or web-based business needs a reliable database to monitor business processes, store information and gather all website data. One of the most popular databases used on modern database-driven websites contain websites is MySQL. This is a very powerful and efficient database system that runs as a server providing access to a number of databases. MySQL is open source and falls under the terms of GNU General Public License. The world's largest websites like Wikipedia, Facebook, Twitter, Flickr, YouTube are driven by MySQL database. Database is an organized collection of data. The database gives websites high functionality, allows monitoring data accuracy and manipulating a big amount of content. The database is maintained through Database Management System (DBMS), a system of programs providing essential data administration tools and functions. The choice of the database for a website depends on the type and amount of data to be stored and processed. The content in the website database is usually managed by using a Content Management System (CMS). High-volume websites that include information about users, customers, products, transactions, and more data need a reliable web database. MySQL (often pronounced as "sequel") is a popular free database management system used on modern web applications. This open source database is used on Joomla, WordPress, Drupal, and other applications. MySQL database works on many different system platforms, including Linux, Mac, Windows, etc. MySQL is a relational database. A relational database uses tables to store information. Each table contains data categories in columns and rows. Relational databases are built using a special computer language, structured query language (SQL). As an open source program, MySQL is customizable and allows you to add specific requirements to the server. MySQL is a client/server system. For client programming can be used programming languages like C, C++, Java, Perl, Python, PHP. For the building of MySQL database driven apps there are many application programming interfaces and libraries. MySQL can be executed under a number of operating systems like Apple Macintosh OS X, Linux, Microsoft Windows, Unix. 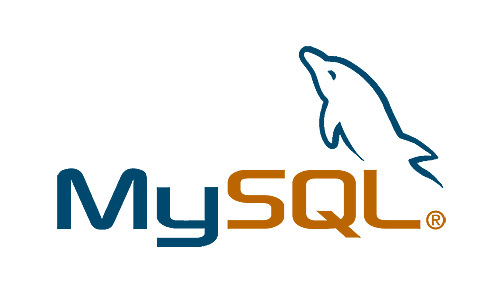 MySQL database offers absolute security and data protection. MySQL is equipped with SSH and SSL support and powerful mechanisms for ensuring that only authorized users can access to the database server. MySQL backup utilities allow for complete backup and recovery. MySQL database server can be configured specifically for a particular web application, whether these are transaction processing systems (TPS) or high volume sites that deal with hundreds of queries every day. Equipped with many tools and performance-enhancing possibilities, as well as easy to use and reliable, MySQL has become the database of choice for modern website development. My-Sql database is used with php used to store the website data. The MySQL database server is the most popular open source database around. The "SQL" part of MySQL stands for "structured query language," which is a standard interactive and programming language for getting information from and updating a database. This "language" allows you to make queries about the information in your database - data selection, insertion, updating, and locating.